When you become familiar with your industry you may notice that there are frequently reoccurring materials used for one part or another. 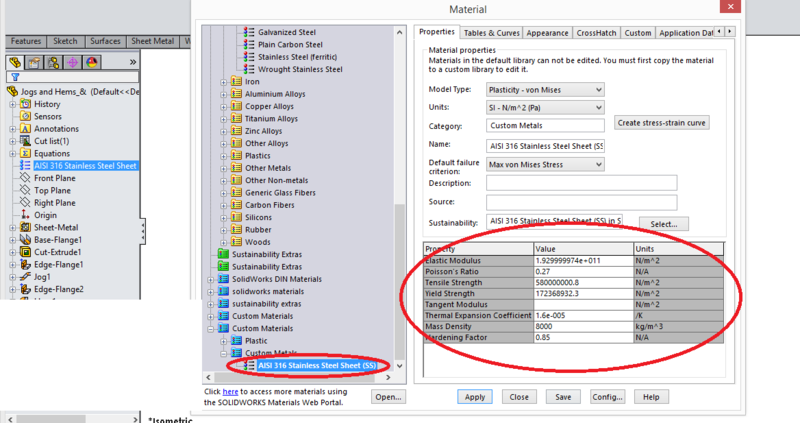 You may use materials listed in the comprehensive SolidWorks Library or you may create a custom material of your own. 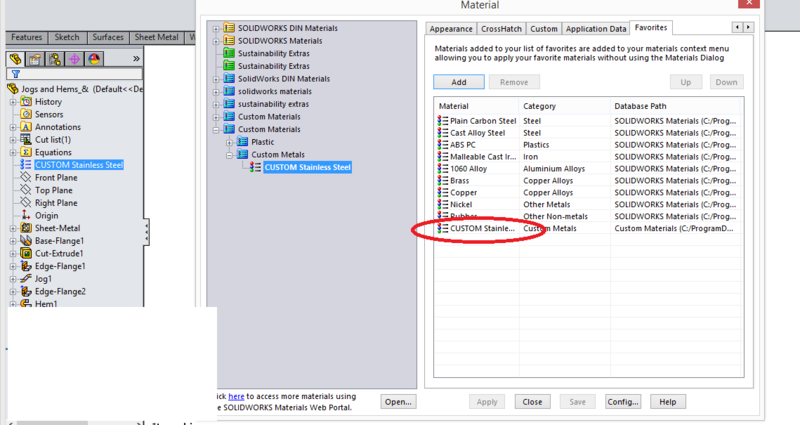 You may copy any material by right clicking and then selecting copy. I have pasted a copy of AISI 316 Stainless Steel under a folder Custom Material> Custom Metals. You are able to customize all properties of this material from the tensile strength to the name. 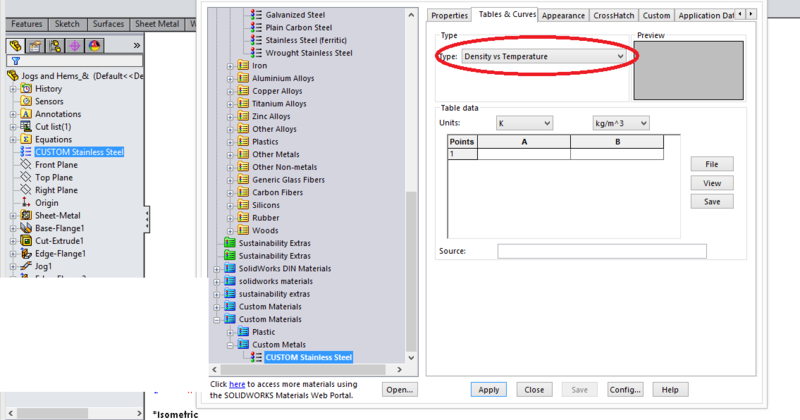 Bare in mind that you are not limited to changing the properties shown on the first tab, you can also define dynamic values such as a density vs temperature curve or even a thermal coefficient vs temperature curve. 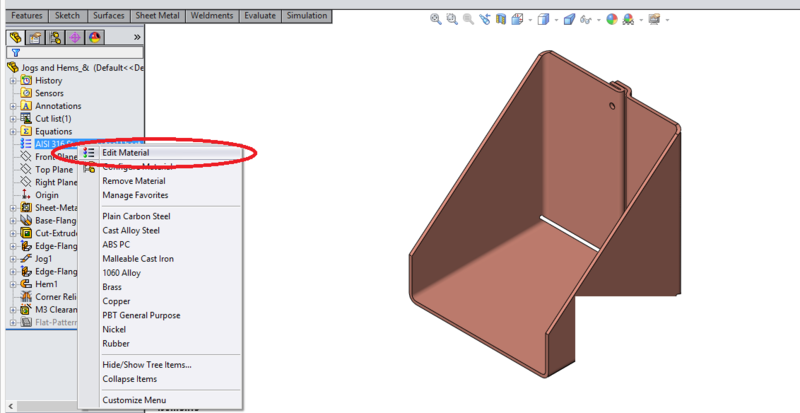 These functions are commonly used in SOLIDWORKS simulation. You also have the option to alter the appearance and so forth. 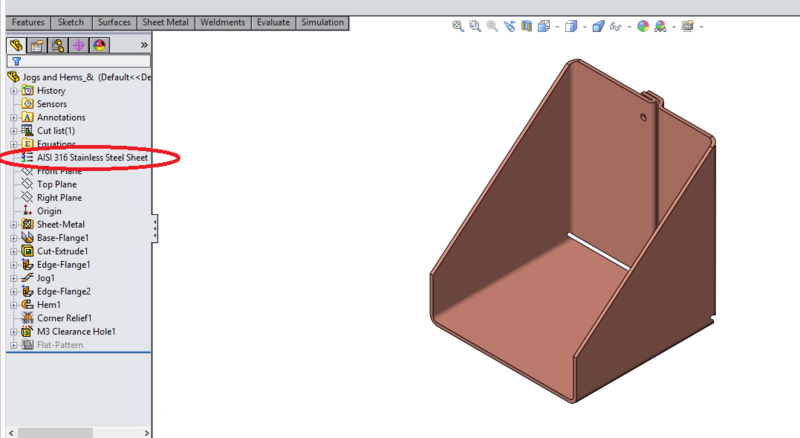 I have named my material Custom Stainless Steel and applied it to the model. The material is now updated to show Custom Stainless Steel. The Material window will pop up showing the favorites. You are now able to browse and select your favorite materials and add them to the favorites list. I have selected my Custom Stainless Steel and added it to the list. The next time you right click your material from the feature manager design tree, the favorites menu will be populated with common materials used in your industry thereby saving tremendous time in searching through the library for a particular item.